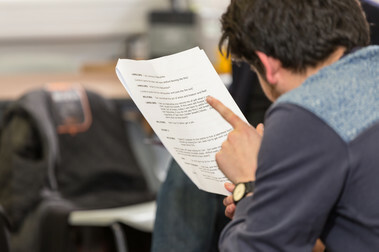 Class Act is the Traverse Theatre's flagship education project, challenging senior pupils from across Edinburgh to become playwrights; creating brand new scripts to be premiered on the Traverse stage. Applications to take part in Class Act 2019 will open in May. Class Act is a project which, in my experience, changes lives for young people involved. Every time I do the project it changes mine.